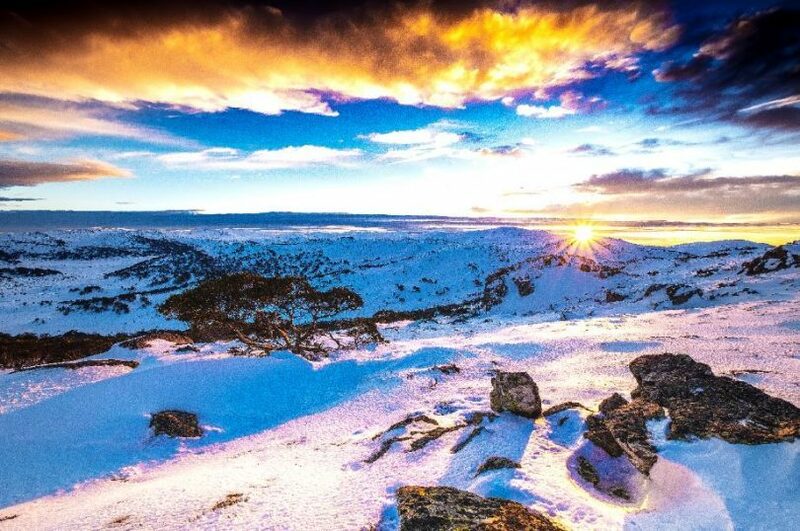 Sunset over Main Range from Mt Perisher. Photo: Craig Lewis, Alpine Australia. An intrepid Monaro-based photographer and publisher has captured the winter of 2018 in the Snowy Mountains in a book that will delight and entice readers, especially in the heat of summer. Alpine Australia – A Celebration of the Australian Alps not only portrays the stunning high country of New South Wales but that of Victoria as well. 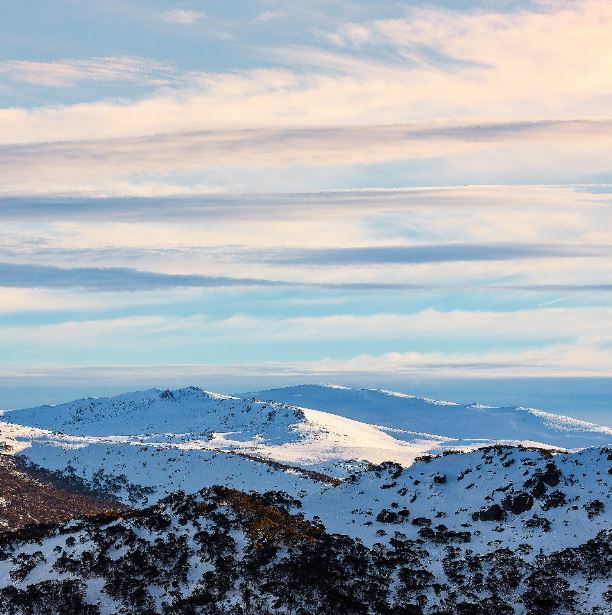 Kybeyan-based Craig Lewis was charged with transporting readers to the country’s highest peaks running along the spine of the Great Dividing Range in NSW and the stark beauty of the Kosciuszko Main Range. 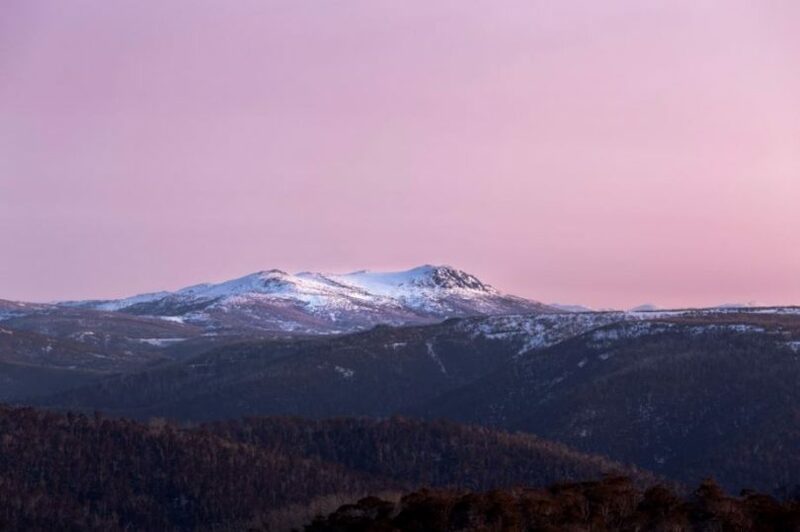 While further south, Yackandandah-based photographer Chris Munn headed for his state’s loftiest peaks, capturing places like Mt Bogong, Mt Buller, and Mt Hotham in magnificent detail. “Tens of thousands of people go to the snowfields and all they do is go up and down the ski lifts,” Craig chuckles. “And they sit on the lift and think – I wonder what it’s like up there? “We wanted to do a book on the winter landscape for people who are probably never going to get there. Mount Jagungal, Craig’s favourite photo in the book, can you see the sleeping lion? Photo: Craig Lewis, Alpine Australia. 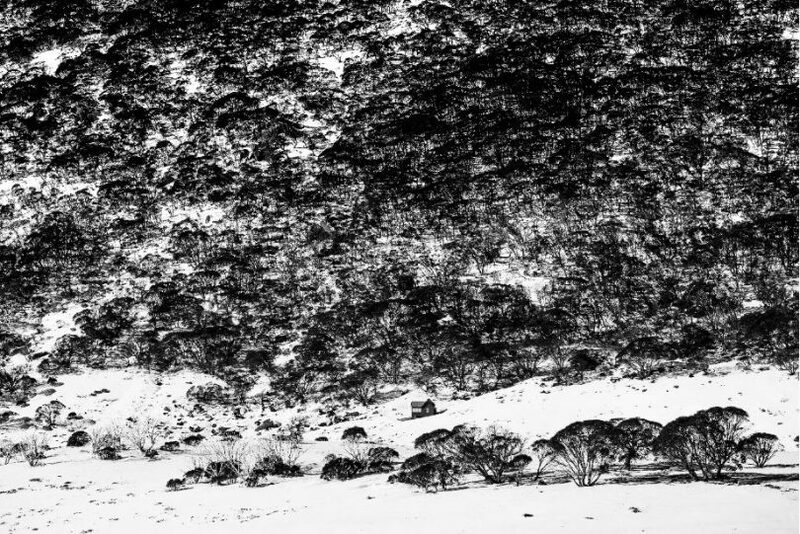 Craig’s favourite photo in the 205-page book is on page 103 – Mount Jagungal, also known as the ‘sleeping lion’ because of the shape it casts in the landscape. “There is some sort of spiritual connection for me to this place and I am not normally a spiritual person, but Mount Jagungal just seems to draw me back again and again and again,” Craig says. “If I could bottle the feeling it gives me and sell it – I’d be rich! The two photographers met at the iconic Craig’s Hut in the Victorian High Country a few years ago, strangers up until that point, but now mates in a way that only a wilderness experience can forge. “Collaboration is a good way to challenge yourself, Chris and I come from different backgrounds and styles, it was a great experience for us both,” Craig says. Alpine Australia – A celebration of the Australian Alps portrays the stunning high country of New South Wales and Victoria. Photo: Boiling Billy Publications. The season Craig and Chris captured is regarded as one of the best in recent years, with Snowy Hydro’s snow depth reading peaking at 224.6 cm. “The old-timers predicted at the start of the season that because we were in a heavy drought we were going to have a really good snow season,” Craig says. Alpine Australia is deliberately a large book, matching the vast landscape it captures from dawn to dusk. In these days of small screens and smartphone cameras, Craig is hoping the look and feel of the book will open people’s eyes and mind. “These places just don’t have the same impact on a small screen, that’s the great thing about a pictorial book,” Craig says. Illawong Lodge at the base of Perisher Range. Photo: Craig Lewis, Alpine Australia. Since 1996, Craig and his partner Cathy Savage have published dozens of books from their bush home between Nimmitabel and Cooma under the banner of Boiling Billy Publications. Mostly publishing practical camping, 4WD, and outdoor living books, the duo are building a new collection of picture books, and Alpine Australia is their forth. Others in the library feature bush pubs, huts, and homesteads. “And we are currently working on a big book for next Christmas, in a similar format about Australia’s long-distance walking tracks,” Craig says. 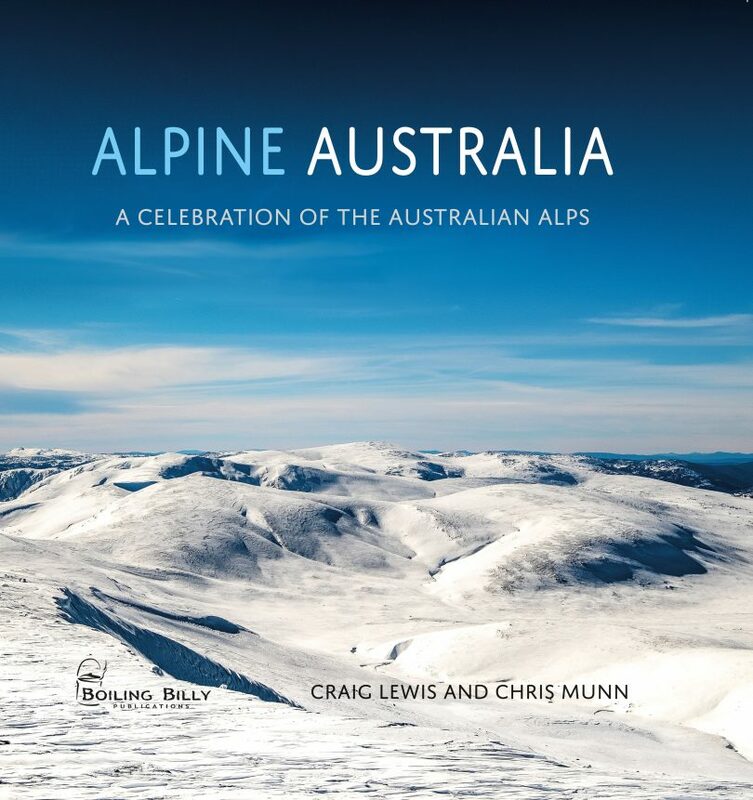 Alpine Australia – A Celebration of the Australian Alps is available online and from local bookstores. Etheridge Ridge and Mt Kosciuszko. Photo: Craig Lewis, Alpine Australia.